Barrie Steele was the head athletic trainer at the University of Idaho for a third of a century. Last week, he wrapped his last ankle, hung up his scissors and moved quietly into retirement. Just the way he wanted it. A retirement cerebration Thursday in the Kibbie Dome bid Steele a fond farewell after serving 33 years on the Moscow campus. A 1979 graduate of Washington State, Steele started a 39-year career in the field in 1980 with six years as an assistant trainer at his alma mater before taking over as Idaho’s head trainer and director of sports medicine in 1986. In addition to overseeing all aspects of UI’s athletic training room and the strength and conditioning and equipment room staffs, he was on the National Athletic Trainers’ Association board of directors and served in several leadership positions, including president, of the Northwest Athletic Trainers’ Association. Steele was inducted into the National Athletic Trainers Association Hall of Fame in 2011, a year after the organization honored him with a Most Distinguished Athletic Trainer Award. Rachel Bozlee is filling the basket from afar like it’s never been filled at Azusa Pacific. The junior from Northwest Christian sank a career-high, and school-record, nine 3-pointers on Monday in an 83-59 women’s basketball win at Chaminade in the start of a three-game trip to Hawaii. The ninth came in the final seconds and gave her a career-high 27-point game. The Cougars lost their next game, Wednesday, and a 14-game win streak, 81-72 at Hawaii Pacific in which Bozlee made four 3s. That gave her 64 in 21 games this season, all coming off the bench, surpassing the 60 she hit in 31 games last season. The 64 3-pointers put her in a four-way tie for third nationally in NCAA Division II. She had 47 as a freshman and has a career total of 171 in 82 games. Her previous game highs were six as a freshman and eight as a sophomore. • Basketball players Mason Peatling and Violet Kapri Morrow have been chosen the January Scholar-Athletes of the Month by the Eastern Washington athletic department. Peatling, a junior with a 3.90 GPA, averaged 16.3 points and 7.3 rebounds in the month. He made 59.7 percent of his shots from the field and also had nine assists and eight steals. After missing EWU’s first 10 games with an injury, he has been the Eagles’ leading scorer in five of nine games since and led them in rebounds four times. Kapri Morrow, a senior with a 3.42 GPA, scored in double figures in each game during the month and averaged 20.6 points and 5.6 rebounds while shooting 48.5 percent from the field. She had a career-high 37 points in an overtime victory at Montana State on Jan. 19 and was the Big Sky Conference Player of the Week on Jan. 21. • Charisma Taylor, a freshman at Washington State, broke the WSU women’s program record for the indoor triple jump with a winning leap of 42 feet, 6 1/4 inches at the New Mexico Team Invitational last weekend in Albuquerque. The mark is third overall outdoor and indoor at WSU. • Idaho freshman Vicky Tsai, who had a 76.5 stroke average playing in all five matches in the fall, carded a 1-under-par 71 Monday to tie for first at the Mission Hills Invitational and collect her first collegiate golf victory. She had four birdies on the last eight holes on the Arnold Palmer course at Mission Hills Golf Club in the one-day, individual-only spring opener. • Freshman Katie Hale and senior Janelle Lucas gave Idaho a sweep of Western Athletic Conference Swimmer and Diver of the Week awards following a tri-dual against Grand Canyon and Simon Fraser in Park City, Utah. Hale won three events – the 50-yard freestyle and 100 and 200 backstroke – and swam the leadoff backstroke leg on the Vandals’ winning 200 medley relay to receive the first weekly swimmer award of her career. Lucas won her second straight diver honor, and fourth of her career, after posting the second-highest 1-meter springboard score (305.75) in program history in winning the event. She was third on the 3-meter (305.95), the first time in her career she has topped 300 points on both boards in the same event. • Taryn Miller, a senior defender at Montana, was named to the Big Sky Conference All-Academic Team in women’s soccer for a fourth straight year to lead a list of 31 athletes from area high schools who were honored for the fall sports of football, men’s and women’s cross country, soccer and volleyball with GPAs of 3.20 or better. Fifteen are at Eastern Washington, which had a record 79 student-athletes honored, eight of them four-year recipients. Two of Idaho’s record 53 were four-year recipients. Football – Beau Byus, sr., Central Valley (3); Jonah Jordan, sr., Mead (3); Cole Karstetter, sr., Ferris (3); Kennan Williams, sr., Cheney (3). Volleyball – Kamille Langford, so., Reardan/Saint Martin’s. Men’s cross country – Isaac Barville, so., University/Montana State; Jacob Christner, fr., North Central; Carter Ledwith, fr.,Lewis and Clark; Domenic Rehm, sr., Medical Lake/Community Colleges of Spokane (2); Jack Sloan, fr., University; Jacob Stirpe, fr., Ferris. Women’s cross country – Kaelah Corrigan, jr., North Central (2); Johanna Sherman, sr., Cheney; Hannah Spakousky, fr., Cheney. Soccer – Kaelyn Barnes, fr., Central Valley. Football – Mason Petrino, sr., Pullman; Connor Whitney, so., West Valley; Logan Kendall, so., Cheney; Kyle Perry, so., Sandpoint; Dylan Beeler, jr., Clarkston. Men’s cross country – Ben Shaw, fr., Riverside. Women’s cross country – Erica Pecha, fr., Central Valley; McCall Skay, sr., West Valley (2); Kara Story, jr., Coeur d’Alene HS (2); Krista Story, jr., Coeur d’Alene HS (2). Women’s soccer – Maddie Haas, so., Lewiston; Morgan Crosby, sr., University (2). Men’s cross country – Ben Cikutovich, fr., Mead. Football – Reggie Tilleman, sr., Genesee, Idaho (3). Women’s soccer – Kylie Hanson, fr., Coeur d’Alene HS; Miller (4). • Senior running back Sam McPherson was doubly honored when the Eastern Washington football awards were passed out last weekend. McPherson, who averaged 100.7 yards a game, was named the team’s offensive player of the year and also received the Golden EKG (Eagle Kind of Guy) in voting by the players. Linebacker Ketner Kupp was the defensive player of year and All-American kicker Roland Alcobendas was the special teams’ recipient. The coaches selected defensive end Mitchell Johnson and wide receiver Andrew Boston freshmen of the year, and gave Scout Team awards to linebacker Justin Patterson, wide receiver Kellen Gregory and defensive back Dean Sise. Special awards went Brandon Montgomery, the Pat Roberts Memorial Award for academic and athletic excellence, and former EWU police chief Vic Wallace, the Tom Oswald Memorial Award. Team captain awards went to seniors McPherson, Kupp, quarterback Gage Gubrud, center Spencer Blackburn and safety Mitch Fettig. • Ja’Maun Charles from men’s track and field and Jovana Subasic from women’s basketball were named the Washington State Academic Services Student-Athletes of the Month for January. Charles, a senior sprinter with a 3.2 GPA majoring in management information systems and minoring in Spanish, is active in the Student-Athlete Advisory Committee (SAAC) and participates in Coug Pals. He had two third-place finishes at the 2017 Pac-12 Championships. Subasic, a junior from Serbia with a team-leading 3.99 GPA, is majoring in international business and minoring in political science. She is a PAC counselor and the vice president of SAAC. On the court, she had a career-high 13 points against Oregon State Jan. 27. • Gonzaga men’s tennis has the 20th-ranked recruiting class in the nation, according to Tennis Recruiting Network, the highest in program history and the best in the West Coast Conference. Under first-year head coach Jonas Piibor, GU is the second-highest-ranking school in the west, behind USC (sixth) and in front of Fresno State (22) Washington (24), of the west schools in the Top 25. GU has two top-40-ranked players – five-star and TRN’s No. 18-ranked signee, Eric Hadigian from Sacramento, California; No. 39 Oliver Andersson from Sweden; four-star Brandon Park from Bakersfield, Calif.; and Matthew Hollingworth from Great Britain. Concordia (Portland) women’s soccer – Maggie Ames, F, Central Valley, first-team All-State 4A as senior, three-time All-GSL, GSL Offensive MVP as a junior; Kailyn LaBrosse, D/F, Central Valley, first-team All-State 4A as senior, three-time All-GSL. 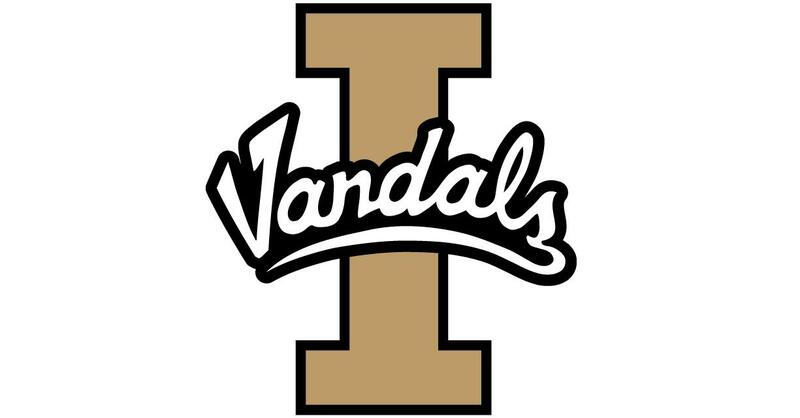 Idaho men’s cross country/track – Tim Stevens, distances, Cove, Oregon. Idaho women’s soccer – Fiona Dawson, D, Bellingham (Sehome HS)/Highline CC. Kylie Delaney finished second in the women’s division and was an automatic qualifier for the National Junior Olympics during the 2019 Washington State USA Shooting Junior Olympic Rifle Championships that wound up qualifying last month. Delaney, 16, who is home schooled, shot 567 out of a maximum 600 in the three-position, small-bore (0.22) rifle event to win the silver medal. The gold medalist shot 572. Cassidy Wilson, 18, home schooled, earned the bronze medal in the women’s division with a 565 and Taylor Christian, 17, Spokane Valley Tech shot 564 to place fourth. In the men’s division, Mason Maystrovich, 17, Northwest Christian, was fifth with a 554. Delaney, Wilson, Christian and Maystrovich combined to shoot 2,250 and earn the SJRC Gold team second place in the team event. The winner shot 2,257. The Spokesman-Review is accepting submissions for summer camps that will appear in the 2019 Summer Plus section, which publishes May 1. They will also be included in an online directory at spokesman.com that will be available all spring and summer. Information about any residential or day camp in our readership will be accepted at no charge, including athletic camps, academic camps, theater camps, special needs camps and equine camps. All we need is its name, location, cost, age range and a short description. Please include contact information for the public, such as a phone number, email or website. Submissions received after 5 p.m. March 14 will be included in the online directory, but not guaranteed for the print version. Published: Feb. 2, 2019, 4:48 p.m.